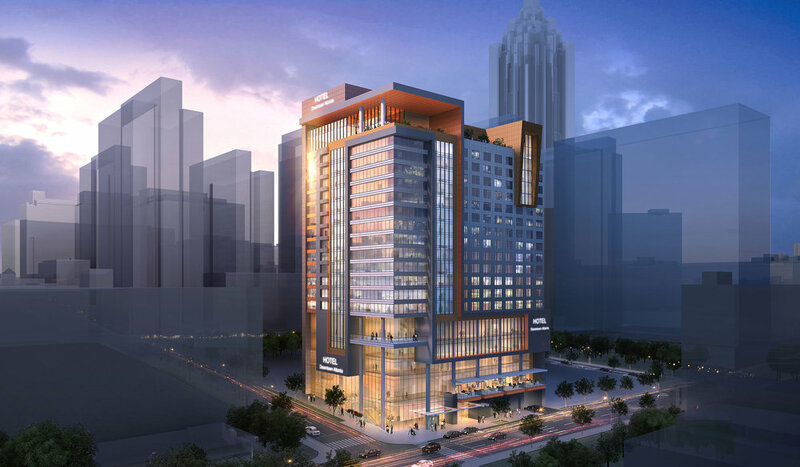 Nestled in the heart of downtown Atlanta, this planned, mixed-use project features a 327-key boutique hotel atop a multi-level commercial podium. The vertical development includes a 20th floor bar and restaurant with connecting skydeck, offering expansive views for indoor / outdoor entertainment. Additionally, a 3rd party operated signature restaurant was included in the contemporary, transparent podium design.